This post on week 43 is about one of my favorite and most fascinating subjects I have studied. When I lived in China I was introduced to Face Reading and anytime I could I would go to learn from the readers Wow, it is like they know your whole story and of your ancestors as well. A well tuned professional face reader can describe you and your ancestors so well that it may make you feel that he or she has been involved in your life on a daily basis. It is amazing. The accuracy and finesse of the system. You may know someone who people adore. Most likely this person isn’t wrinkle-free and doesn’t have perfect features according to the general model of what is perfect, this is the blueprint of our feelings and our life mapping our experiences, the day to day history of our lives, I notice when people get plastic surgery in a few months people started to go back to how they looked before, that inspired me to do some research on the source about this fact and I remember my studies on Face Reading and Bingo!! there it was we make all these lines and formations on our entire body, not just the face. Droopiness and all those details that we start resenting and disliking, but if we get to know why it is happening our perception shifts to the understanding that if we made it happen we can change it, Chinese medicine teaches all the organs involved in Skin, Muscles, and basically the whole body, and how we are fully interconnected, I notice that when I teach this subject in my classes people are very surprised. It is amazing to me that most people don’t have a conscious relationship that we are fully connected mind, body, and spirit. For the most part, everyone is running around so fast and the common denominator is I don’t have time!!!! So when we are in our heads all the time it is no wonder we feel that we get up and function all day with just our head and nowadays with the phone being attached to it. Well, dear readers that definitely is not it and if you wish to change your physiognomy and get to know more about the people you deal with in a daily basis and even the ones you don’t know this post can give you a very accurate mapping, I love to be able to understand how my whole system works and many miracles happen in our bodies minute to minute. Please enjoy and share so many people can benefit from it. She was a perfect sample of the radiance, kindness, and compassion that read through her beauty. Yet when he or she walks into a room, everyone’s heart just soars and is turning head time. What they are responding to is the information that radiates out from that individual’s face and body language. 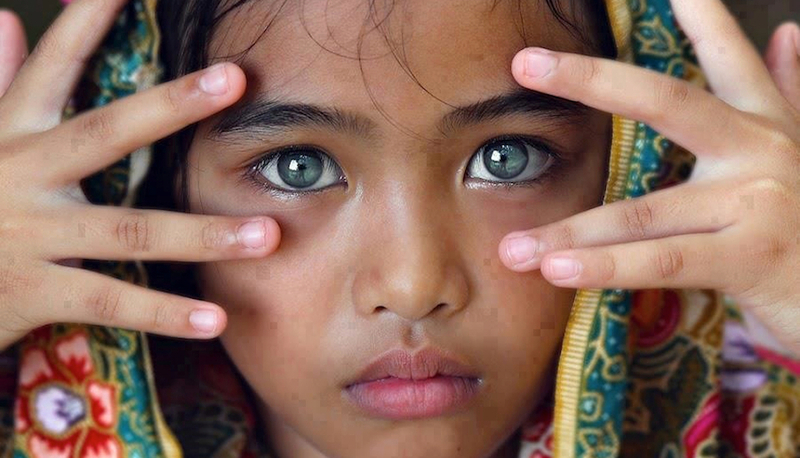 When people are living according to their true nature, everyone finds them beautiful. With that being said, here we are posting a few facts about face reading there is so much more to it, we will continue to share with you in the future, here you can research more with the links provided. Chinese face reading is as relevant today as it has been in the past and its use is definitely cross-cultural. We all have a blend of elements and all faces reflect part of our nature pattern. Face reading first started in China during the 6th century BC, it was not affiliated with any religion. It is thought that they were probably Taoist shamans from rural areas such as Szechwan who specialized in non-traditional arts. By 220 BC, the art of face reading was established in Chinese life and classic tales, such as the Golden Scissors and Bamboo Chronicles, were written at this time. Also, there were professional face readers during this time that combined the roles of priest, astrologer, and counselor. They were well-educated men with great compassion for humanity. The Chinese simply understood the concept that the face represents the story, energies, health, and fortune of a person so to live in harmony with the prevailing energies of the five elements, yin and yang, and the seasons they dedicated much time to the study of Face Reading. This wisdom has seen a huge resurgence in the West during the past 20 years with the growth of acupuncture, Chinese herbal medicine, Feng Shui and Qi Gong. The starting principles of face reading that we are here discussing are the cosmic energies of the five elements and yin and yang. The elements are clear symbols and they represent qualities of energy within each person that are reflected in the face. 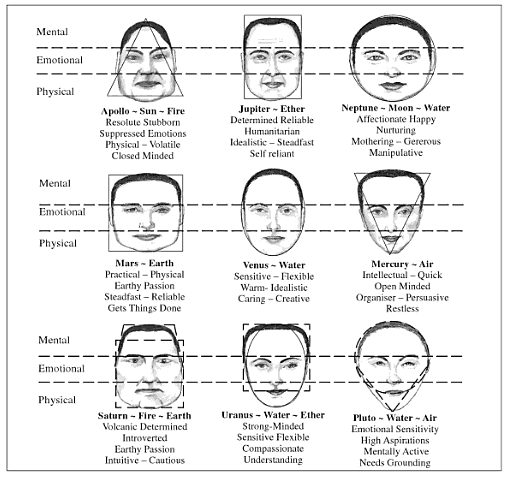 A very elaborate physical, psychological and emotional profile can be constructed, incorporating the energies of the features, the life points of the face, the three divisions from top to bottom (forehead, midface and lower face) which show the nervous, circulatory and digestive systems and the facial zones which represent the internal organs is pretty accurate to say the least. Each individual face is a map of the past, present, and future. The past is described as our inherited constitution, starting with our mother’s pregnancy, our childhood, and adolescence, with each difficulty or every support in the family, and our very early years as we start out in the world. The present reflects our health at the precise time of the reading. Coco Chanel said: Inappropriate diet, persistent negative emotions, drugs, toxins and stress all contribute to lines, congestion, and colors on the face. 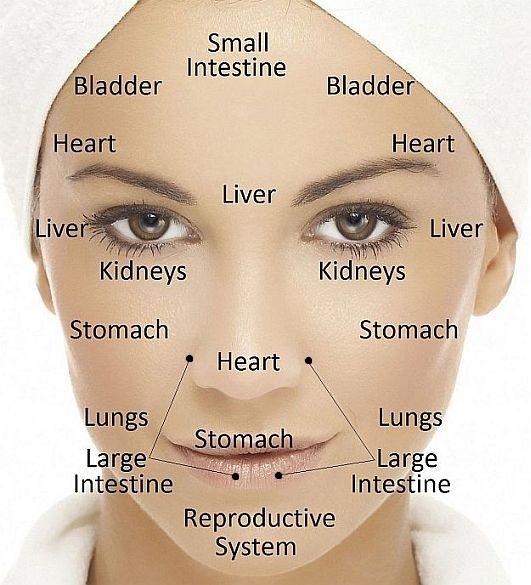 With that said the facial zones affected are related to the internal organs under stress like the rest of our physical wellbeing. In the same way that the feet are a microcosm of the whole body in Reflexology, so the face shows the inner health status and the person behind the persona. The future is not predestined in the Chinese philosophy: acts of compassion can definitely lengthen one’s life, and taking greater care with health can resolve possible future challenges. Sometimes destiny and the ups and downs of life can be improved by facial surgery? Correcting squints help one’s fortunes during the years 35-40. However, nose jobs, which expose the nostrils and shorten the nose can affect the end of the 40s by creating many physical challenges. These shapes of faces are known as water-shaped faced people. They have a plump more round and fleshy face. They are known to be sensitive and caring. And the individuals that possess them are thought to have strong sexual fantasies. If you are looking forward to a long-term and stable relationship, these people are proved to be the right choice. The long, thin face is called in Face Reading the wood shape face. These people may have a more muscular or athletic physique. They are thought to be very practical, methodical and tend to be more overworked for the most part. They have weighed along with narcissism and most likely have problematic relationships. These shape types are usually related to a thin body and with a definitely intellectual persuasion. 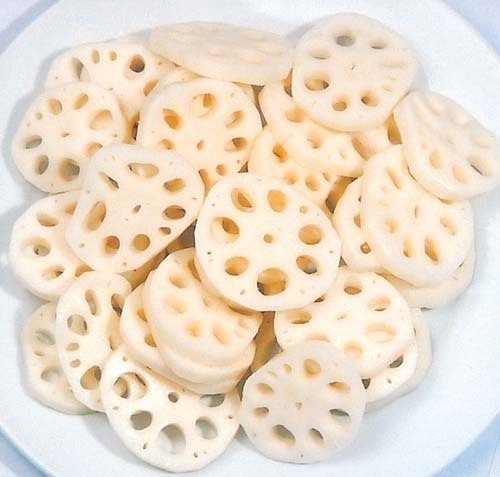 They are considered to be very creative and thought to have a very fiery temperament according to Chinese face readers. 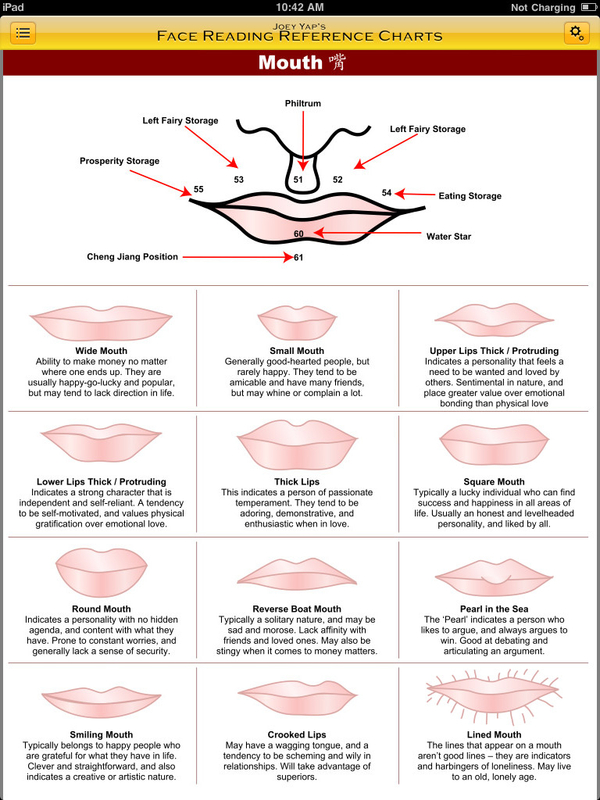 These types of faces are known as the metal shape face. These people are thought to have an intelligent, highly analytical and decisive mind. 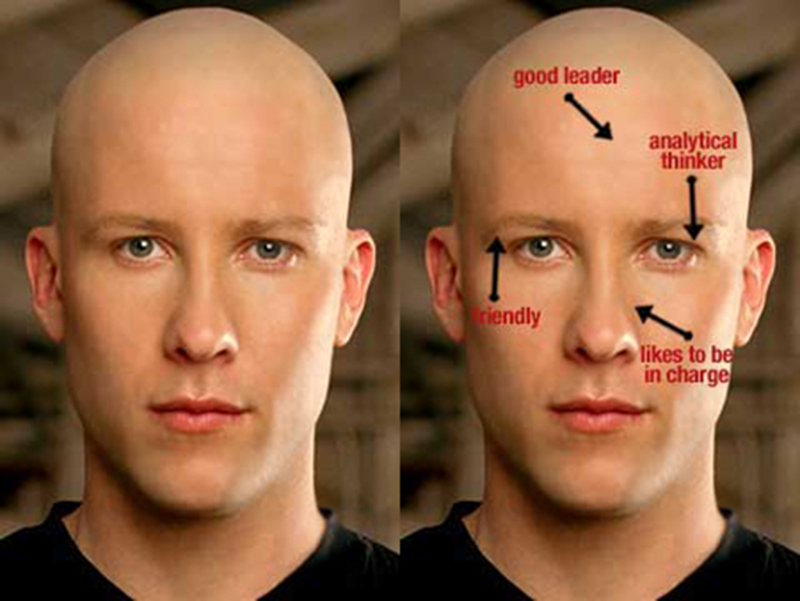 The face shape is associated with an aggressive and dominating nature personality. Here these types of faces signal some variety: they tend to dominate but with less force, often they get their way in politics, business, sports, being always balanced, sometimes ambitious, sometimes melancholic is a very large range. Expresses a character is somewhat balanced, sweet, even charming, in which case those individuals are often best diplomats, but also able to duplicate, women are often outstanding artists. Sometimes they can be dangerous, but temperamentally very are weak, and also often they are weaker in physical strength, in many cases underactive. Having a broad face shape means that the height and width of the face are very close to each other in length. People with a broad face is confident by nature unless for an unforeseen reason he has lost his self-confidence somewhere through his life. When we talk about confident by nature, what we mean is that he’s usually secure and confident about doing things for the first time; meaning he’s fine with new experiences. 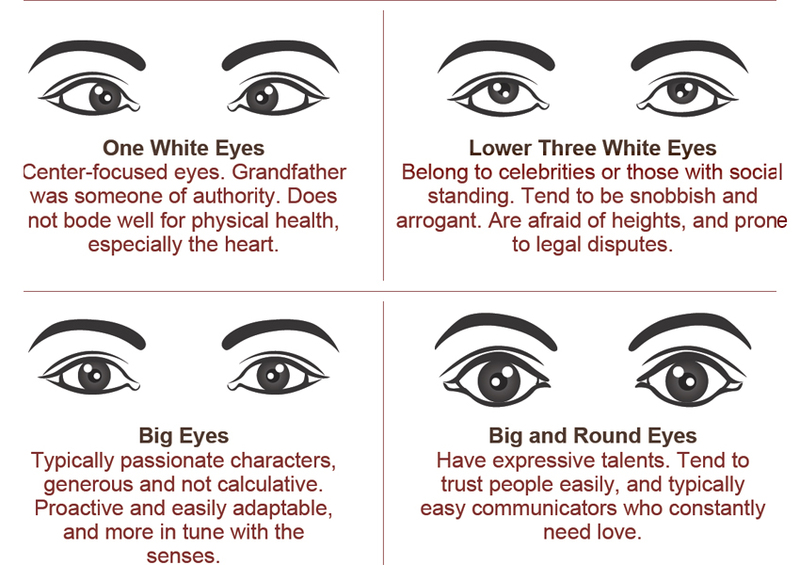 This type of person has got good influencing abilities; he usually has a relatively larger space distance between his eyes (and has a very high tolerance) because of his broad face. This type of person may not be interested in small details but would be rather interested in the bigger picture or the full view. For example, when telling him about a car accident, don’t bother telling him about the car colors because he wouldn’t be interested the details are not important to him, he may not be even interested in the car types involved he wants to get to the point. From these qualities, we conclude that someone like that would make a good manager; that’s why you would notice how most managers are of the broad-faced type. 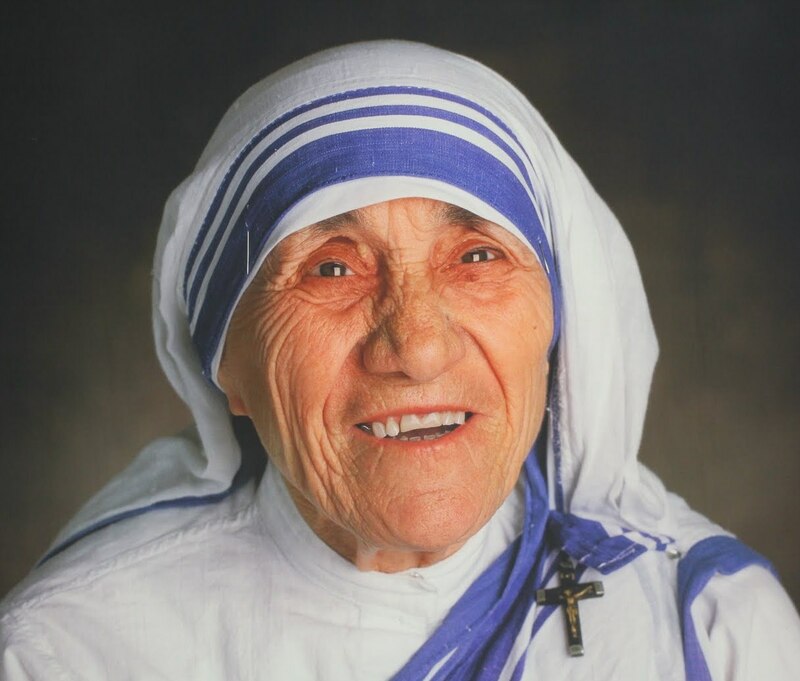 The thin face is very easily noticed because it appears to be longer than most normal faces. 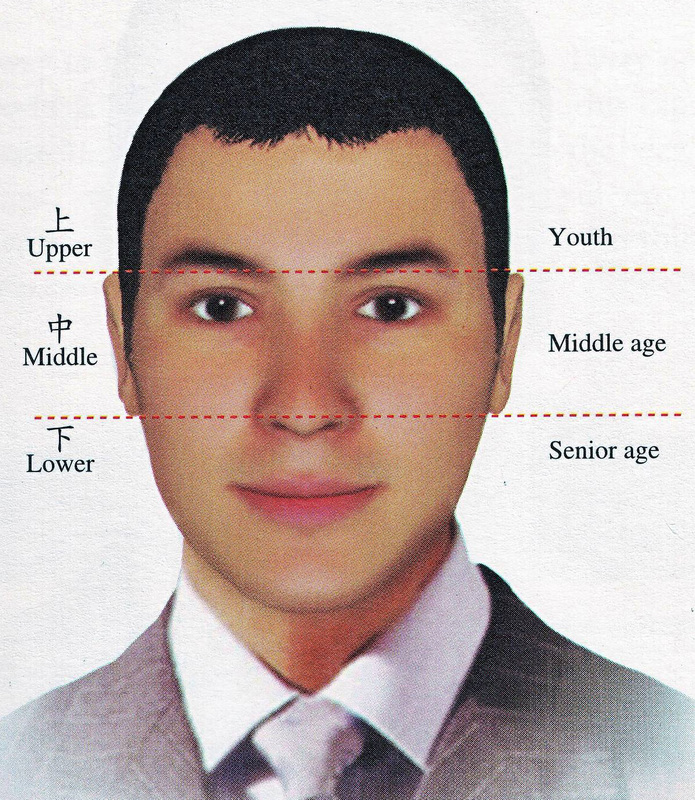 People with thin faces have faces that are much higher in length than in its width. A thin-faced person is more confident by experience and not by nature, that means that when trying something new, they may feel afraid or anxious. If they have a small eye distance too, then they may be interested in small details. The main challenge concerning thin-faced people is fear; fear is a very big part of their lives and this may make them stick to a certain comfort zone and curb their adventurous side completely. People with round faces are very friendly by nature, and they like social gatherings and for the most part, provide a nice company. When intending to ask for help, try to choose the round-faced type because they may be friendlier than the other people around. Thank you for your visit are so very grateful for the time and attention you put into, please share so other people can benefit, check in for part two. Hello, everyone, we wish to thank you for your support, likes and, shares. 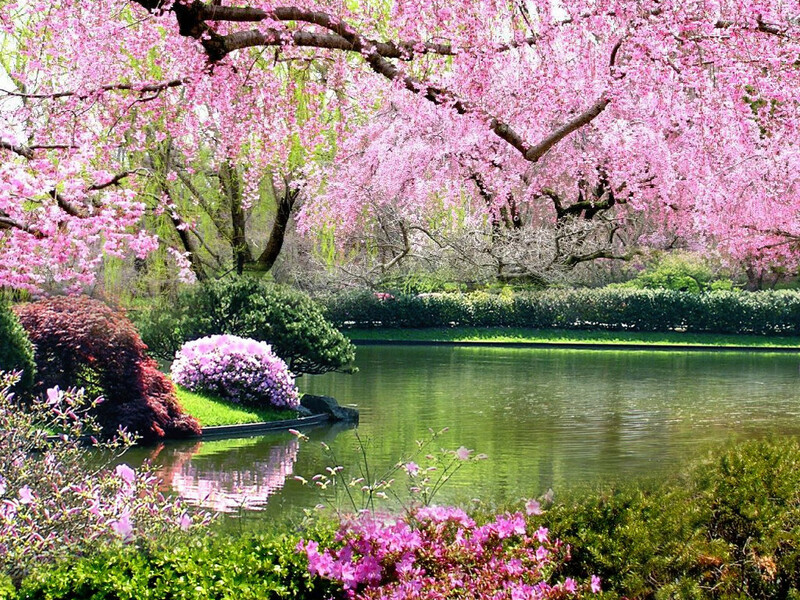 On week 42 we are sharing spring according to Chinese medicine, this information has helped me and my family enter Spring in a smooth and balanced way. This is a very well researched post, we have videos, exercises, food recipes and, herbs to support you and your family to stay in harmony with this season that I personally love so much. Enjoy and don’t forget to share and like, it helps us to keep going. We wish you health, happiness and ideal abundance for and family from all of us. The liver is associated with wood. Wood qi is characterized by its upward momentum and its innate desire to be straight. As long as the Qi flow of the liver is not impeded, the blood vessels will remain unobstructed and open and. The storing of blood is done by the liver. The liver also commands the fire (xiang huo). If there is sufficient blood, this fire will be warm but not burn. As a result, the blood can circulate smoothly through the body’s three burning spaces; it will reach the pores, and every single place in the body will benefit from its warming and nourishing function in full balance. 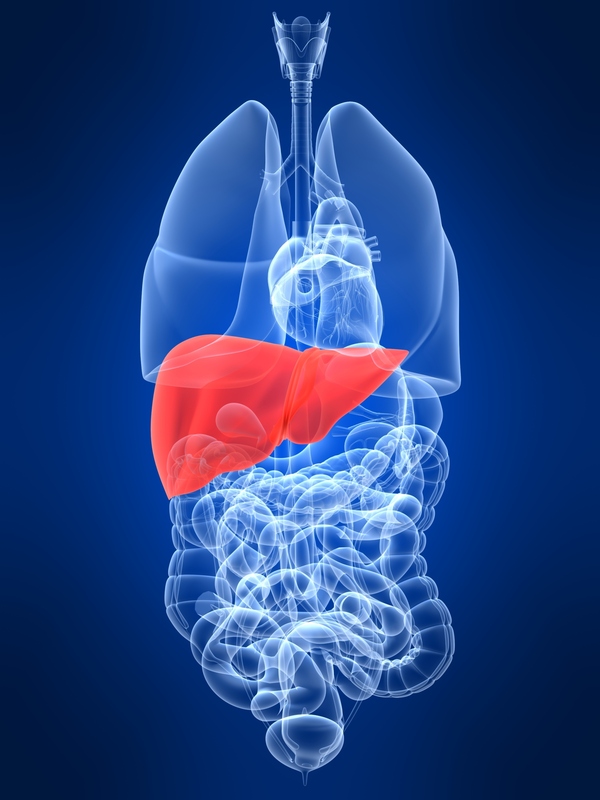 Spleen and liver function together by assisting each other. 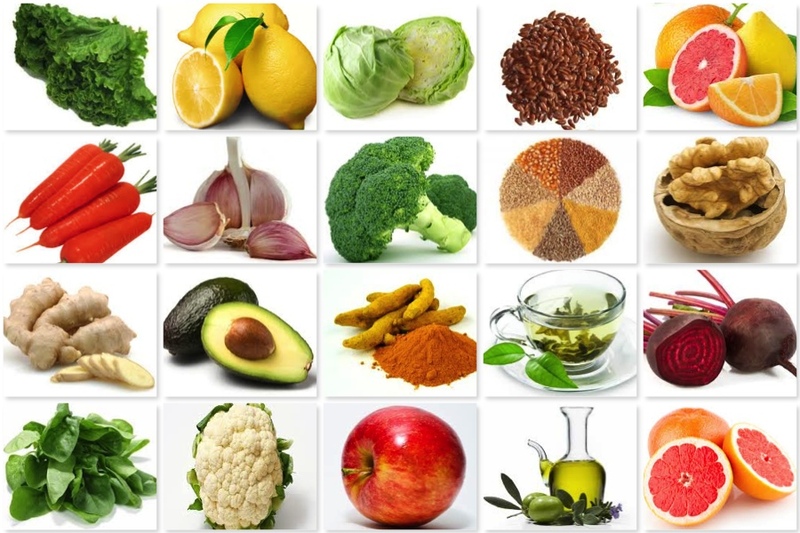 However, people are always quick to point out that an excess of liver wood can injure the spleen earth, and by that have a negative effect on the proper digestion of food. But nobody seems to pay attention to the fact that a weak liver cannot circulate the spleen qi and thereby also cause bad digestion. , The liver connects to the Sea of Qi [lower Dantian, associated with the kidney], which means that the liver is closely associated with the body’s main fire. It can utilize the power of this fire to produce earth. 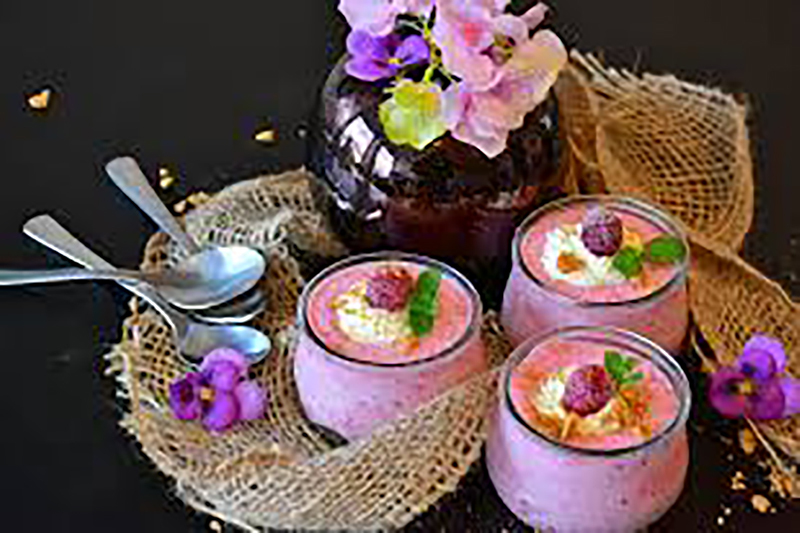 The food which enters the spleen and stomach relies on this power to be let’s say ‘cooked.’ This is what is meant by saying that the liver and the spleen function by assisting each other. The liver relies entirely on kidney water to sustain it, on blood to moisten it, on lung metal’s clear nature and descending function to keep it in control, and on the generous action of the middle palace’s earth qi to nourish it. So as you can see the amazing work that goes on in our body is constantly going on and it does well if we take care of it. When one’s circadian rhythm is disrupted, sleeping and eating patterns can run amok connect the muscles to the bones. In accordance with the characteristics of the liver, they facilitate smooth and continuous movement. Because of this basic concept, some scholars have recently included the nerves. The proper functioning of the tendons relies entirely on their nourishment by liver blood. The nails are considered the surplus of the tendons: as such, they are an exterior manifestation of the general quality of the tendons, and thus, liver blood within. Dry and brittle or extremely pale nail beds always indicate poor quality of liver blood, while pink nailbeds and firm nails indicate a healthy state of liver blood. Hair is also associated with the liver blood: it is called the “surplus of the blood” (xue yu). The rich liver blood of females is expressed in lush, long, and fast growing hair on the head; males have more facial and body hair, which is governed by the qi organ, lung. Dry and brittle hair can be an indication of liver blood deficiency, while hair that suddenly falls out (alopecia) is usually because of both deficiencies of blood and impeded the flow of liver blood to the head, usually due to sudden emotional trauma. The eyes are nourished by the essence of all five organ networks and thus differentiated into five organ-specific zones which may reveal important diagnostic information. 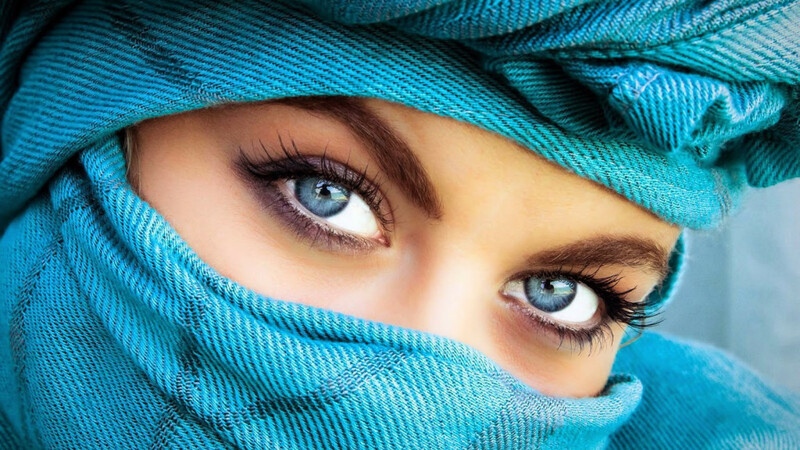 The eyes as a whole, however, represent the opening of the liver and are thus considered to be more closely linked to the liver than to any of the other organ networks. “Liver qi communicates with the eyes,” states the Neijing, “and if the liver functions harmoniously, the eyes can differentiate the five essential colors… If the liver receives blood, we can see. The liver channel branches out to the eyes. Both liver qi and liver blood flood the eyes to maintain proper eyesight. A person’s eyesight may therefore also serve as an indicator for liver function. 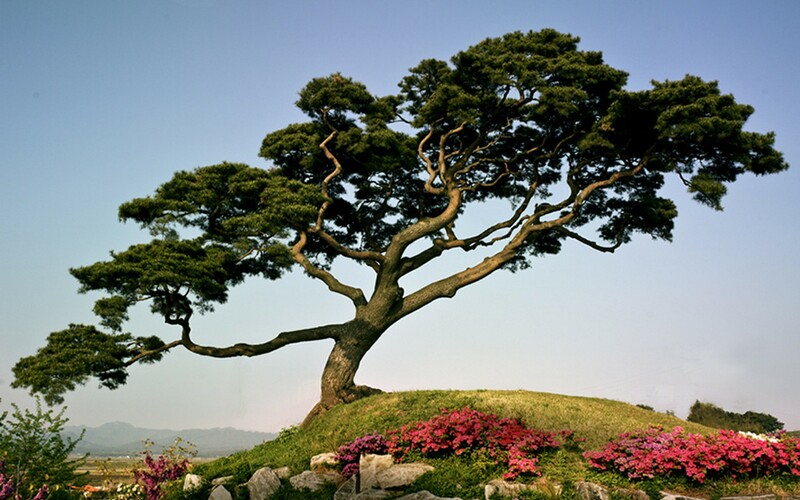 The Liver Loses Its Ability to Course and Drain: if qi gets stuck, the inhibited coursing action of liver qi immediately manifests in the form of mental and emotional symptoms; depression, the sensation of emotional pain, or crying are typical examples. If liver qi flares up and upsets the harmonious interplay between body and mind, outbursts of anger or pain and distention in the sides of the chest may result. 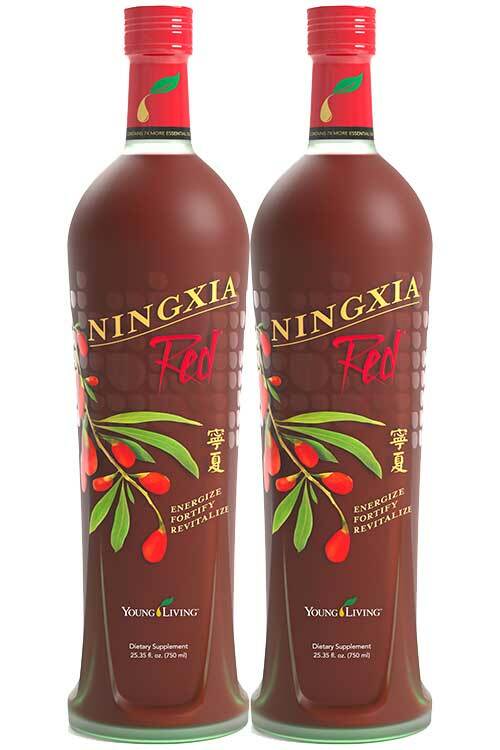 Typical signs of a liver qi disorder implicating the neighboring spleen/stomach system are belching, regurgitation of stomach acid, vomiting, and diarrhea. Liver Disharmony Reflecting on the Emotions and Mental Activities: a deficiency of liver qi typically causes a person to be indecisive and adrift, with a marked inability to plan ahead effectively. If gallbladder qi is deficient, the person will be fearful, have a panicky disposition, and have difficulty making decisions. primary symptoms are a tendency to get depressed; frequent sighing; impatient disposition and temper outbreaks; sensations of stuffiness; fullness or congestion in the chest, intercostal, or subcostal regions. Secondary symptoms include obstructed bowel movements; dry and distended eyes; feeling of something being stuck in the throat; self-doubts and crying; pain (especially intercostal and abdominal) that is characterized by moving, pulling, or penetrating sensations; in females; premenstrual breast distention; menstrual cramping and irregular menstruation. The tongue typically presents with a reddish body (especially at the sides) and a thin coating; the pulse tends to be wiry. 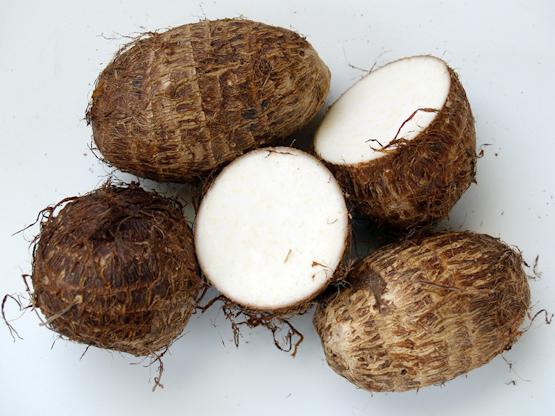 Taro root is harvested in the fall and is great to promote a healthy digestive system. 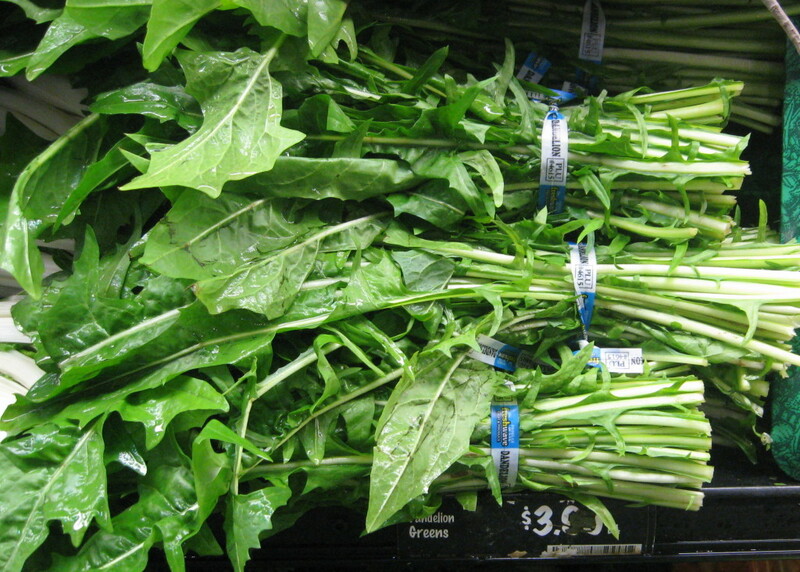 The leeks will support your Liver while seaweed will help the Kidney. 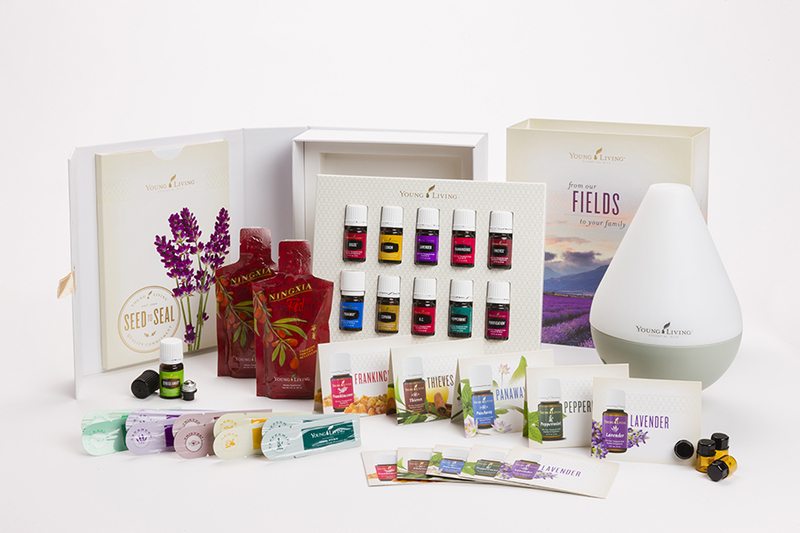 One or more of the following essential oils may be substituted in the event of sourcing constraints or supply considerations: AromaEase™, Citrus Fresh™ Vitality™, Lemongrass Vitality™, Orange Vitality™, and Tea Tree.